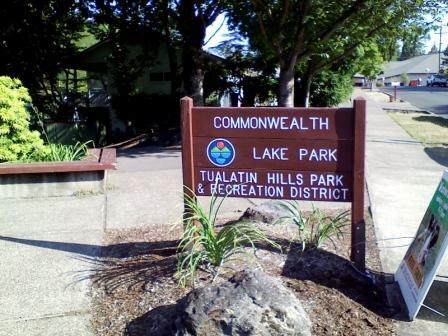 Commonwealth Lake Park. Beaverton, OR. | Discovered ... Right Here! Commonwealth Lake Park. Beaverton, OR. 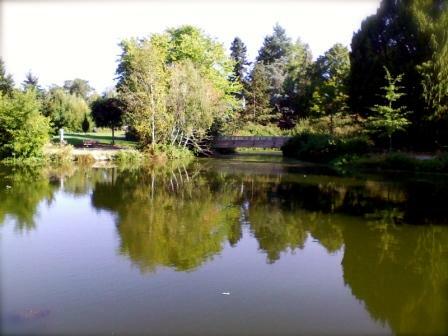 Commonwealth Lake Park, or “the Duck Pond” as my sister and I used to refer to it, called to me about a week ago. While it did not actually call to me, one morning I decided to stop there for a walk before work. 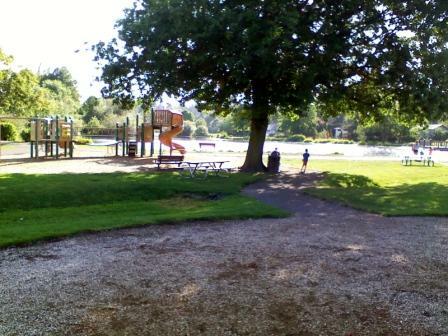 When I was young, my family lived within bike riding distance of this charming neighborhood park. At the time it seemed like a sprawling wildlife preserve. 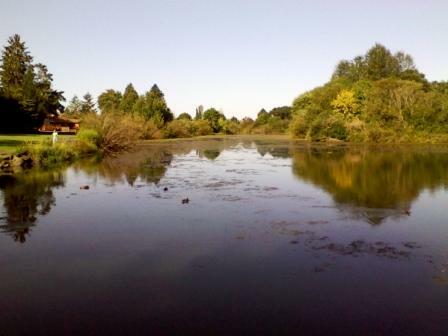 With gaggles of geese, droves of ducks, a grand play area with an extremely tall slide and a large lake, exploring the park thrilled my child-soul. Walking briskly, stopping to snap a few photos, pausing to swing and then pausing again to read some signs, this visit took me all of 22 minutes to go once around. Now, it seems fitting to see it called a “small suburban refuge” on one of the information signs. Despite the adult realizations, the sparkling pond, sleepy waterfowl and other pleasant visitors I encountered that morning made for a nice visit. 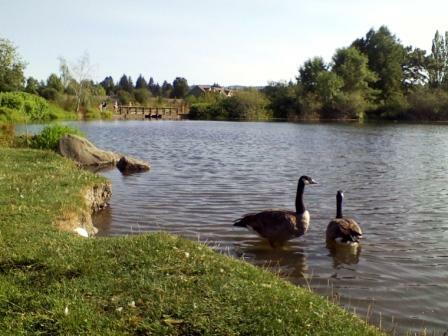 The Tualatin Hills Park and Recreation District has done a nice job of creating the suburban refuge.